Tomorrowland Pasion. : ¿Quien Es Marshmello? 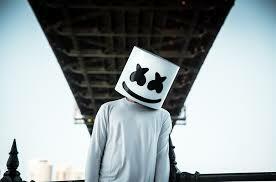 Marshmello es un DJ y productor de música electrónica. Comenzó a ganar notoriedad internacional gracias a sus remix de canciones de Jack Ü y Zedd. Su canción "Alone" alcanzó el Billboard Hot 100. Ha colaborado junto a artistas como Ookay, Jauz y Slushii. His musical style includes groove-oriented, synth and bass-heavy electronic dance music. 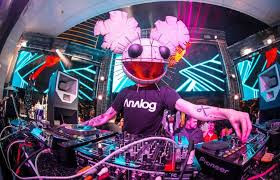 Inspired by other masked DJs like Deadmau5 and Daft Punk, Marshmello appears wearing a full-head-covering marshmallow-shaped helmet. Despite the anonymity, his career received international recognition in 2015 when he began releasing tracks online, including remixes of Zedd's "Beautiful Now", Jack Ü's "Where Are Ü Now" and others, as well as his own single "Alone".